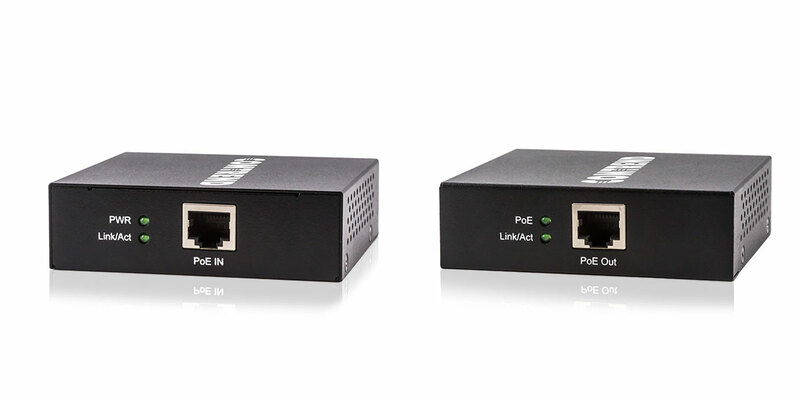 Comtrend’s PoE-9213 Power over Ethernet (PoE) Extender easily extends a PoE network connection to a remote location. It auto- detects a PoE (15.4 Watts) or PoE+ (30 Watts) signal and extends it an additional 328ft(100M) for a total distance of up to 656ft (200M) from the PoE device. Daisy chain two extenders for a non-powered total network length of 980ft (300M). 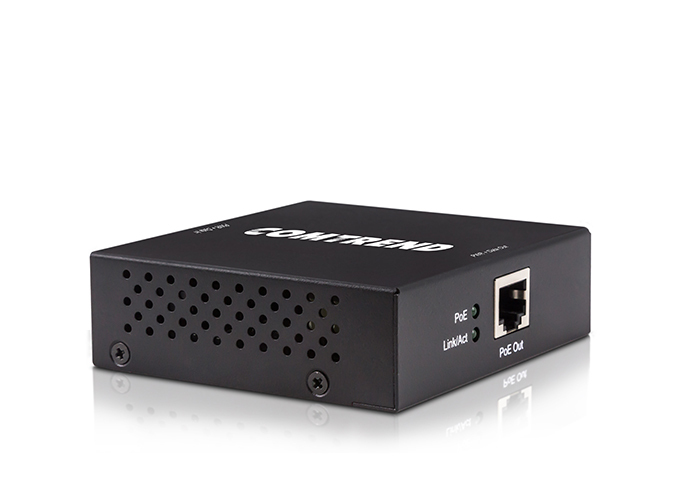 With a wall-mountable option, the PoE-9213 offers simplified, flexible network planning.